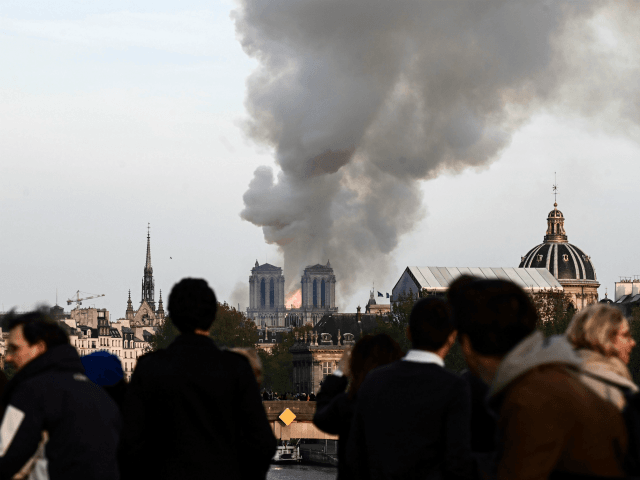 Le Parisien reports the Ile de la Cité, a natural island in the Seine within the city of Paris, is to be evacuated with emergency shelters being opened in Paris to take in some 1,000 people who inhabit the island. 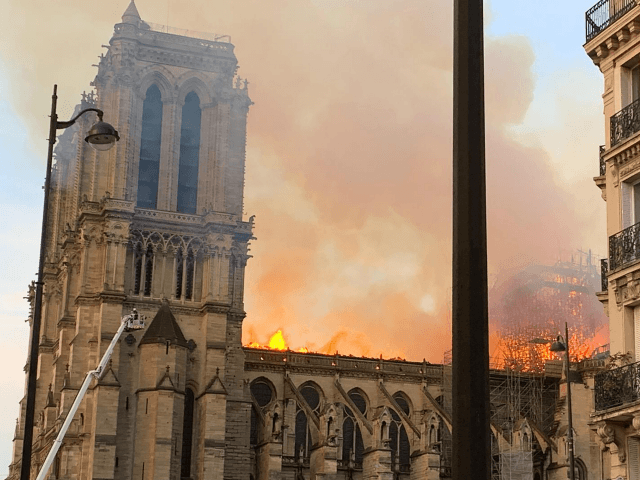 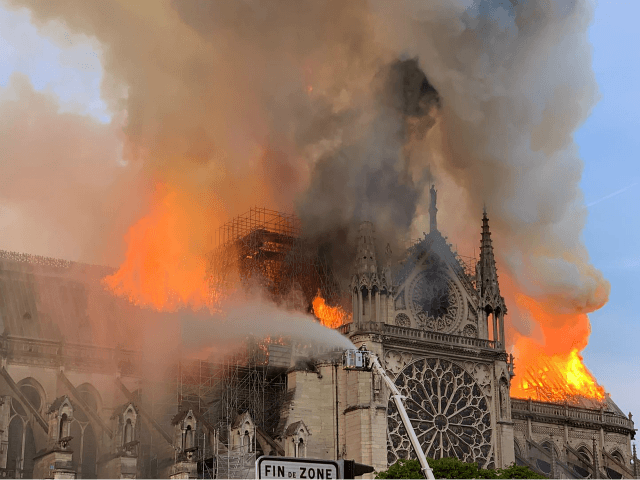 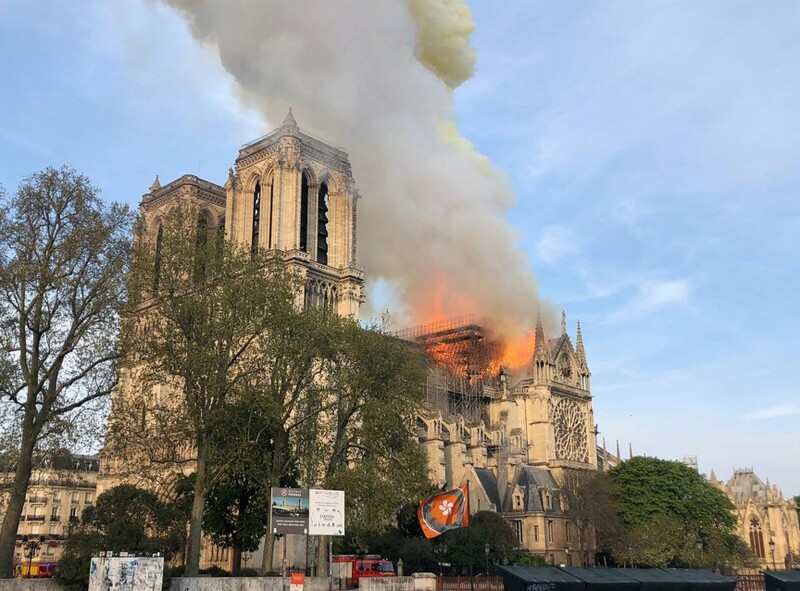 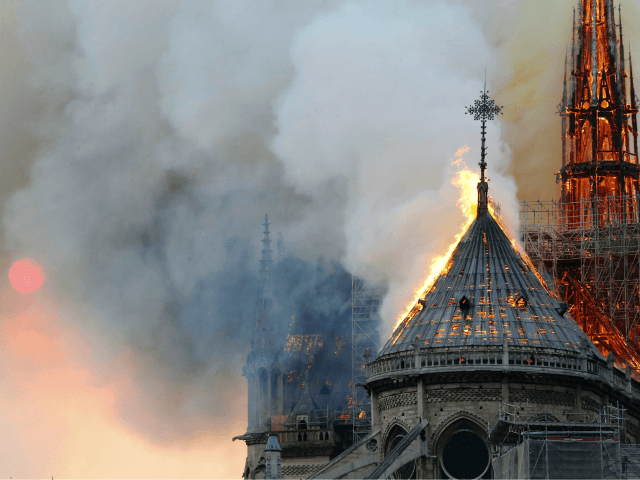 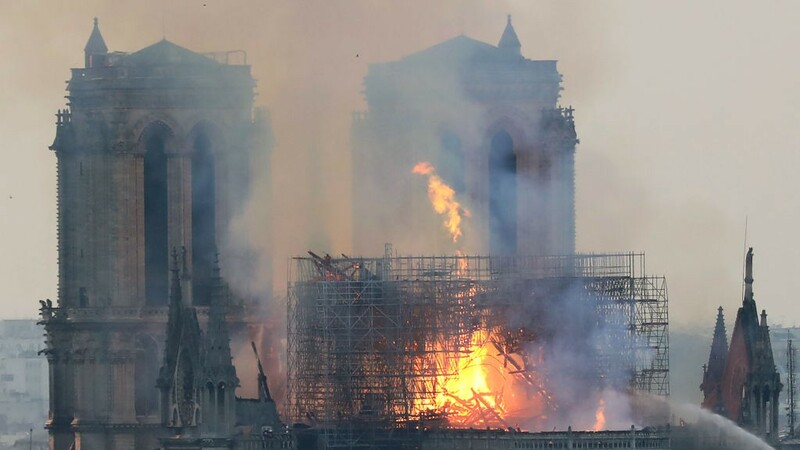 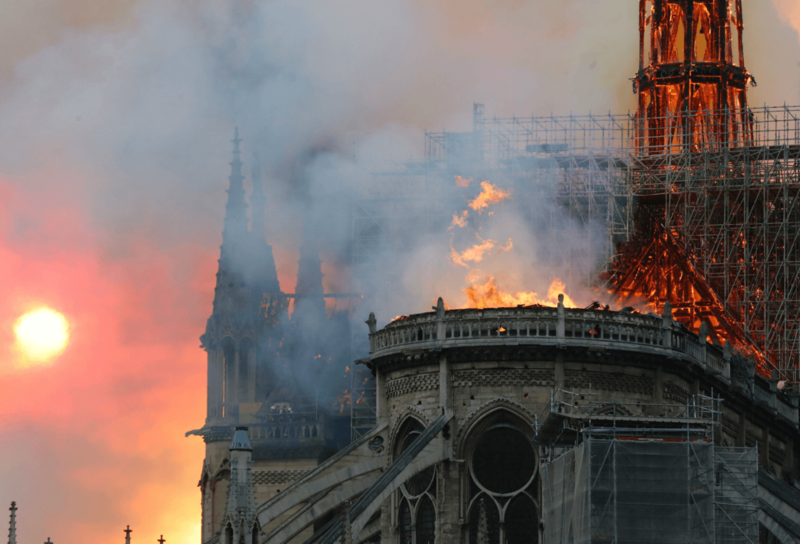 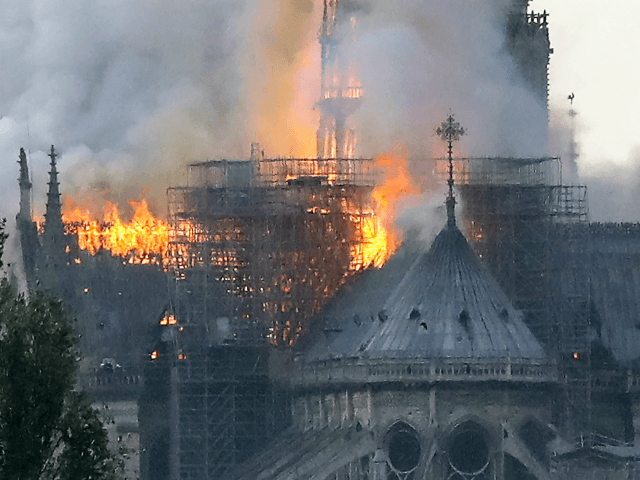 The apparent circumstance of the blaze which is slowly destroying the in parts 13th-century roof of the Paris Notre-Dame Cathedral bears superficial similarities to the partial destruction of the Basilica of St. Donatian and St. Rogatian in Nantes, France. 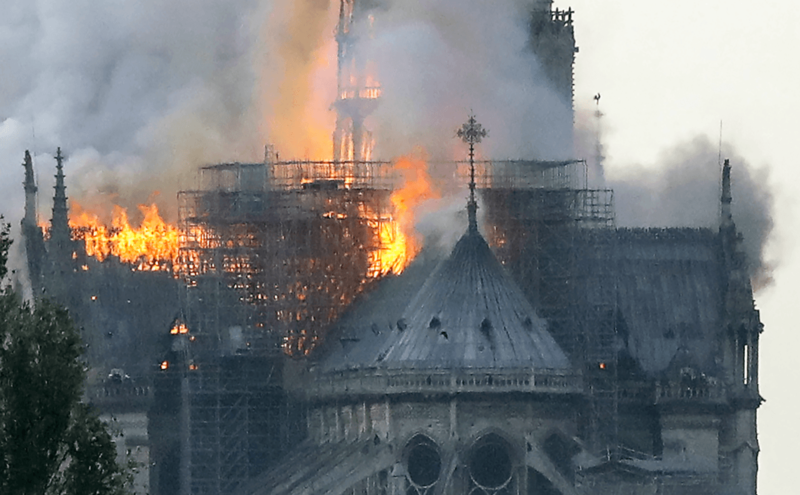 Workmen were engaging in weatherproofing work on the roof when the equipment they were using caused the timbers of the roof to burn. 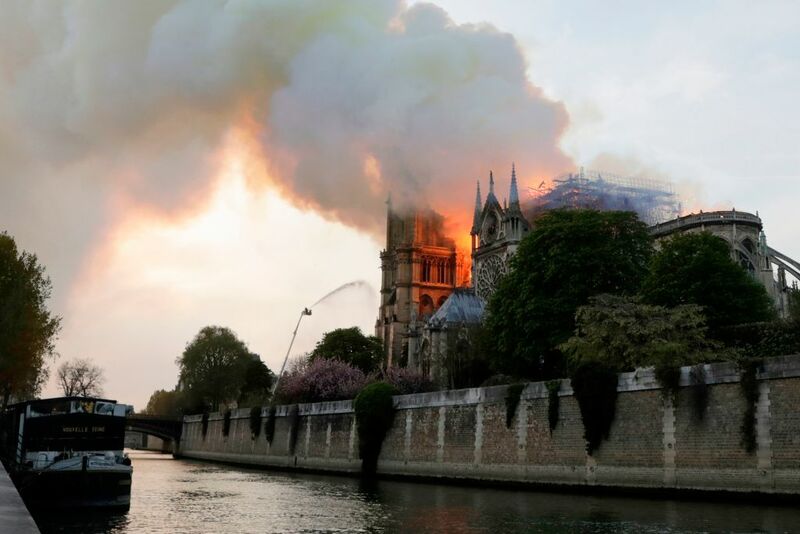 As mentioned in update 1855, restoration work can be an extremely vulnerable time for historic buildings, as ancient timbers come into close proximity to power tools, work lights, chemicals, and other potential sources of ignition. 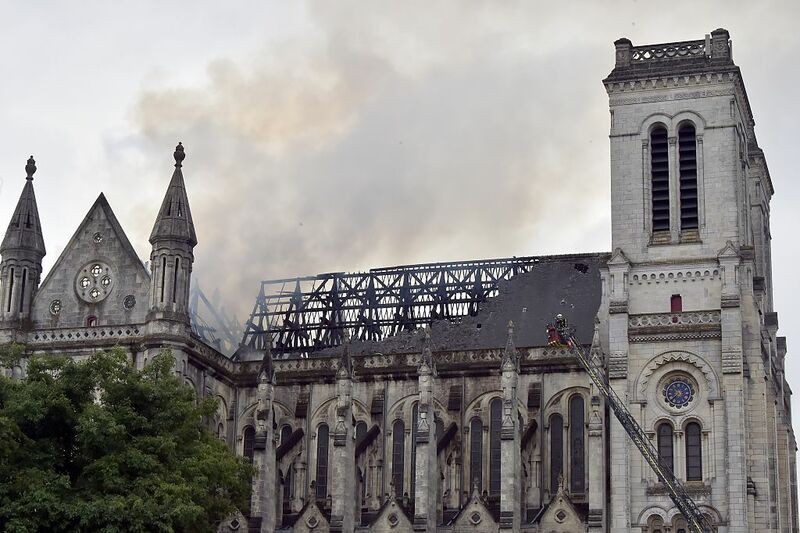 A report by France3 from earlier this year revealed that while significant work was ongoing at the burnt church, with 30 stonemasons on site, there were still two years of works to go before the church could reopen. 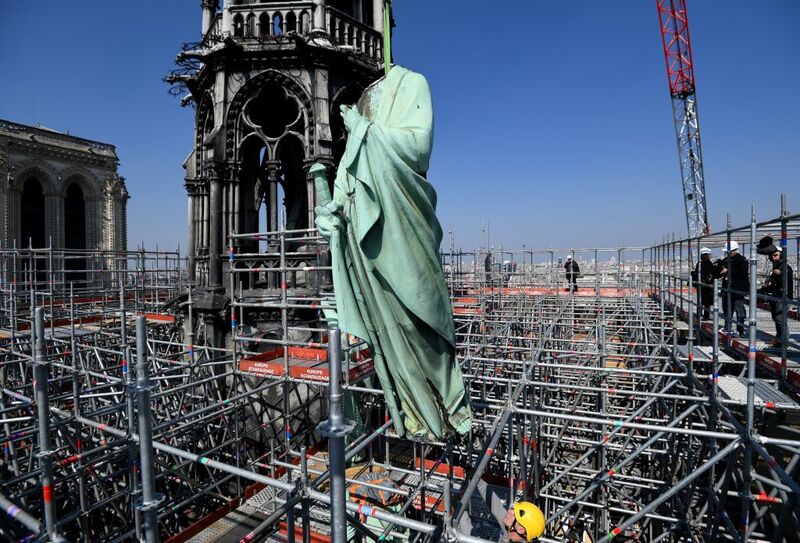 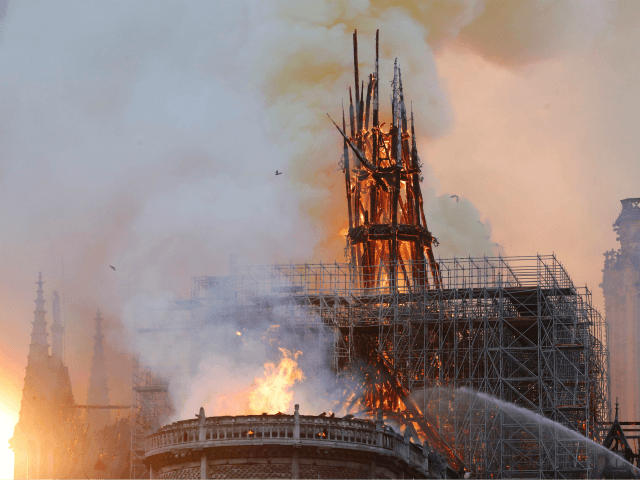 Given the size and historic importance of Notre-Dame, it could be a decade or more before rebuilding work is completed, assuming increasingly secular France decides to embark upon that project. 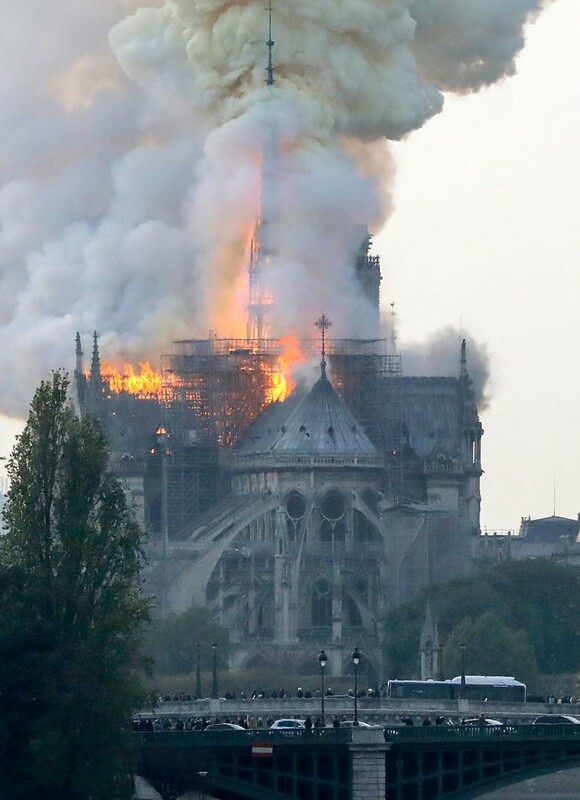 Notre-Dame took almost two centuries to build, in several stages.